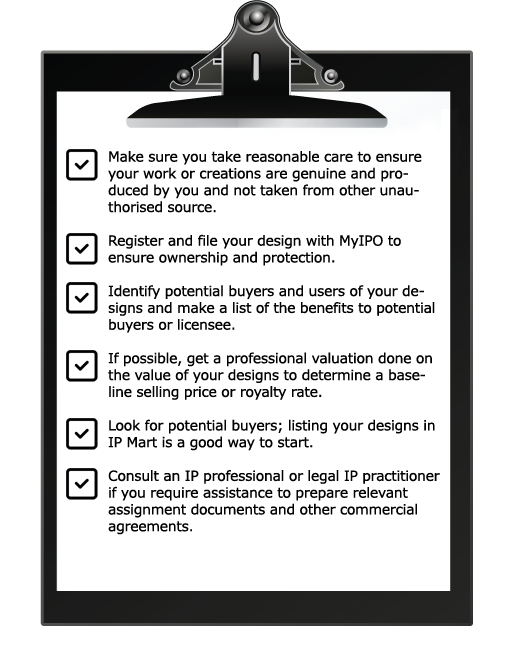 If you are the designer of ornamental or aesthetic aspects of an article or own rights to it, you may wish to license out or assign the rights to your design to other parties. Businesses and companies are always on the lookout for unique and innovative designs to make their products more attractive to the consumers. Designs are also beneficial not only from an aesthetic point of view but are also effective to lower cost of production through design simplicity or reduction in raw materials used as an example.